The impossible is now possible! 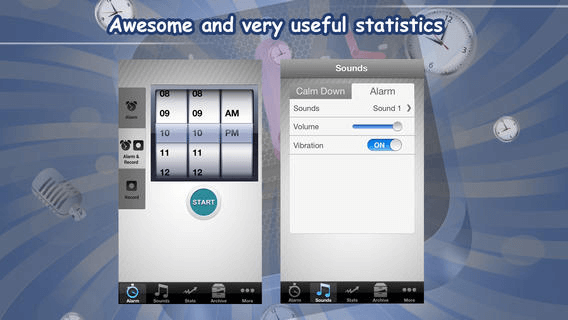 Ever wanted or needed to record your sounds while sleeping? Now you can! 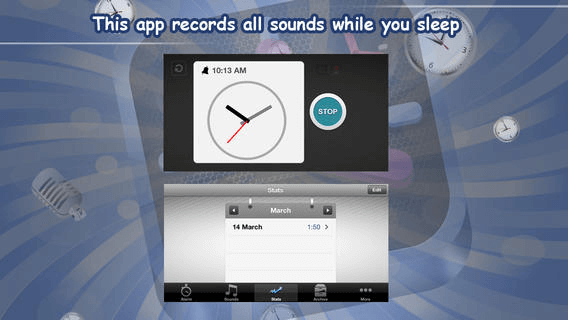 -Record sounds while sleeping: as soon as you go to sleep the device is on alert for ANY noise you may emit! Ever been told you are a sleep talker or a loud snorer?! Record it! 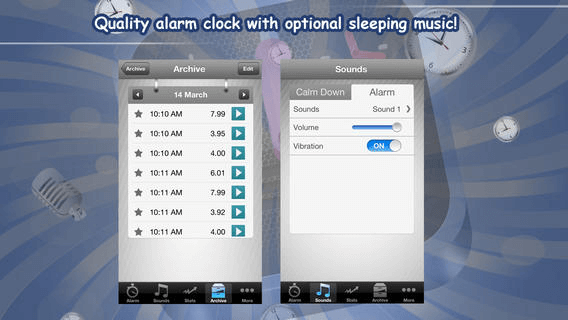 -Relax and go to sleep in a calm environment: you can set up relaxing music from an expanded library of music and sounds that help you body relax and sleep better. 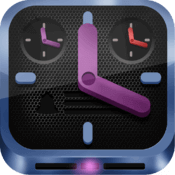 -Alarm: set it up from the night before! 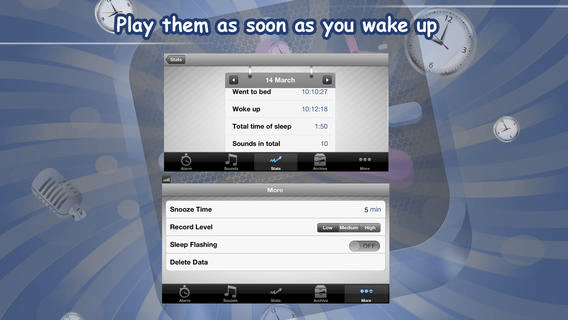 You can choose the sound, time and duration so you can better start the day! So now you are ready to go to sleep and we are sure you will e eager to finally see what's bugging you (and your sleep mates!) at night!